Etching your own boards at home for computer circuits is mostly impractical because of the requirements for fine lines and thru-plating the holes. A few have used a laser printer to make masks and used various techniques to transfer the pattern to the board. KC9UDX on the forum says he has done down to .005" trace & space this way. As impressive as that is, I imagine there's a very high risk of problem boards! The milling option (which does not use photographic or chemical means) works well, but the up-front cost of the machine is prohibitive for the hobbyist. I'm referring to machines like LPKF sells, which, under the control of your computer, actually mills the copper instead of etching it chemically. Their bottom-of-the-line model is shown here. You would have to be doing loads of double-sided boards to justify the purchase price. Fortunately, the cost of using PC-board manufacturers has come well within the reach of hobbyists. 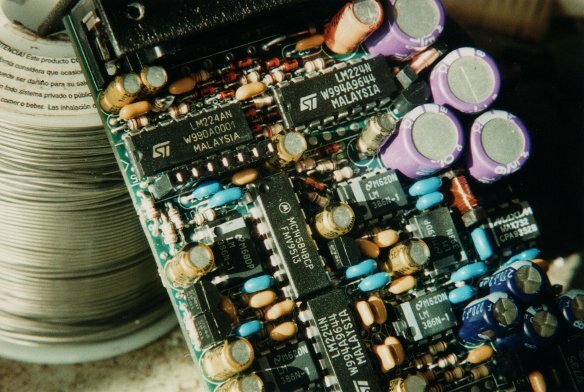 Until around the late 1990's, PC boards cost never less than about $400 for the lot (and went up from there, depending on the number of manufacturing steps), even if it were only two boards, because of the manufacturing set-up costs. Don't forget that that was more money back then than it is today. Then PCB Express and others started offering a low-cost prototyping service getting the price of your entire order as low as $60 or so (for small, double-sided boards). 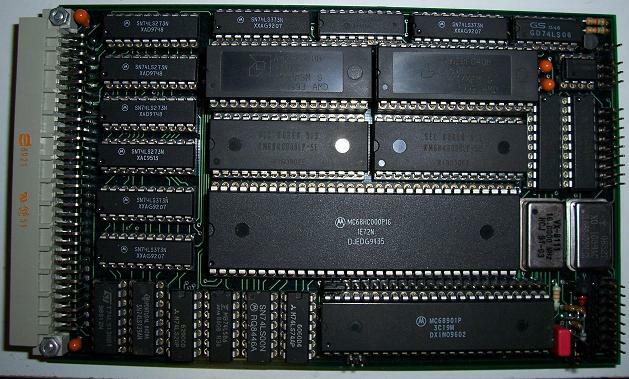 There were certain limitations, like that they only offered 16 hole sizes (so an operator wouldn't have to load other drill bits into the machine just for your project), the shape of the board had to be a variation of a rectangle (so their computers could more easily arrange your boards on a panel with someone else's), there was no soldermask or silkscreen for the rock-bottom price, etc.. Apparently they would take your files and make your boards on the same panel with other customers' boards, and handle them mostly by computer with little or no human CAM (computer-aided manufacturing) operator time. This cut costs, but it means you have to be especially careful to get things right at your end. If you have a problem resulting from traces too close together or crossing each other or not coming all the way up to pads, they won't catch it for you, let alone fix it or call you up. What you order is what you get. There are other board houses like Imagineering which are more expensive but still great for small production runs, and they will give your design more human CAM attention. It would probably be good to do a point-to-point and dimensional check on them before using stock boards, in case the originator had an error that the board house didn't catch. DirtyPCBs's standard shipping is slow, they don't read readme files, they have exacting requirements for file extensions, they don't allow holes under .012", and are not nice about helping you through problems (because they're not making enough money to give it any human attention) (I can't imagine this one worked out very well! ), but if you can put up with all that, you get a really inexpensive board, as little as $14 for 10 smallish 2-layer boards. They also offer 4-, 6-, and 8-layer boards. See also PCB Shopper and PCB Way. I'm sure there are many other very inexpensive ones suitable for simplish prototypes, and I will undoubtedly be updating this list. 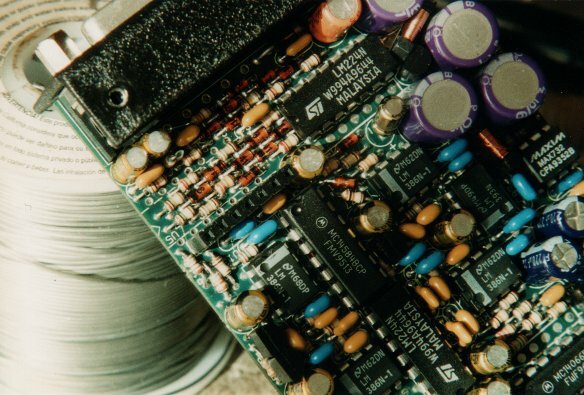 We have a forum topic, "Cheap PCB stories..." It started in 2011, so you'll see progress as the topic goes from one page to the next, to the next. Another forum I'm on has a similar topic, "Getting boards fabricated (Recommendations?)" Using CAD (ie, computer-aided design software) and getting custom PC boards made is certainly an option for prototyping and the hobbyist. There are some low-cost CAD packages, and some free ones. Some prototyping board houses have had their own CAD (Express PCB in Santa Barbara, CA comes to mind, not to be confused with PCB Express in Oregon, now part of Sunstone) which you can download free but which does not produce industry-standard files, meaning that if you decide you don't like the board house's service or price, you can't just send your files to another board house. (That's probably on purpose, huh?) I would recommend using only CAD that produces industry-standard gerber 274X (not the older 274D) gerber files (gerber is for the photoplotting, ie for the copper layers, soldermask, legend, and solderpaste—the "graphics" part of the board) and excellon drill files. Some board houses will accept some popular CADs' files directly, without your having to gerberize first, for example Eagle's *.brd files; but if you want to make sure you're not limited, make sure the CAD can produce gerber 274X files if needed. Wikipedia has a brief comparison of a long list of CADs, many of them free, at https://en.wikipedia.org/wiki/Comparison_of_EDA_software. See also http://pcbshopper.com/cad/ for some info and reviews on free PCB CAD. There are gerber viewers available to double-check your CAD file output. I use gerbv which is free (at least for Linux, and I suspect for Windows too). I see there's also a free 3D online gerber viewer at http://mayhewlabs.com/3dpcb. One fear I have heard is that narrow traces will be delicate and break easily. Not so. If the board is flexed, a narrow trace gets the same percentage of stretch as a wide one running next to it. No difference. PCB manufacturers usually go down to .006"-wide trace and space before they add extra charges. Even in 1993 I remember seeing boards with traces whose width was the same as their height (ie, thickness) with sharp corners and straight-up sides. How they can make a trace with a square cross section is beyond me, but they can do it, if you want to pay. Another fear I have heard expressed is that holes' thru-plating, espicially for vias, won't be reliable. 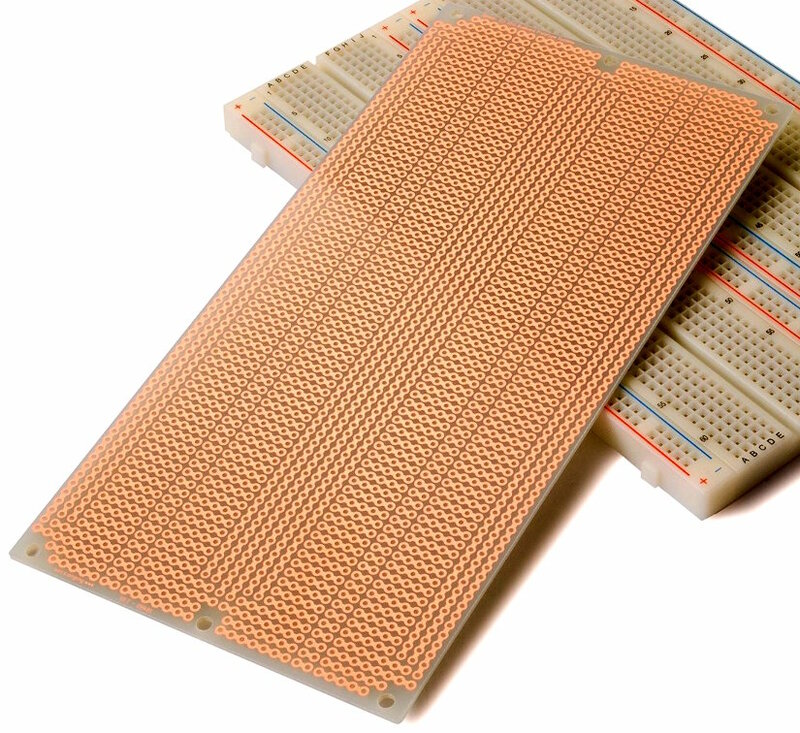 (Vias are the plated-thru holes that are only there to connect a trace on one layer to a trace on another layer of a board.) In the company I've worked for since 1992, virtually all of our products have used multi-layer boards, with vias of course, and we've never had any trouble. In the company where I worked the previous seven years, we only had 2-layer (ie, double-sided) boards, again with vias of course, and did not have any problems. I do not let the via size get below one-quarter of the board thickness; IOW, a .062"-thick PCB's vias will be .015", not less, but a .031"-thick board's vias can go down to .008". They have been totally reliable. (These are finished hole sizes. The drill bit will be slightly larger, then the plating inside the hole reduces the diameter a little, arriving at the finished hole size.) Now most board houses seem to be allowing up to 8:1 aspect ratio, meaning a .062"-thick board can have .008" vias. There are various online tools at http://www.eeweb.com/toolbox/ for helping determine things like trace width, wire inductance, transmission-line impedance, microstrip crosstalk, etc.. This is off the topic of making the computer itself, but I have used dozens of the Radio Shack 276-170 analog prototyping PC boards which have the same pattern that the common solderless breadboards with the hundreds of plug-in contacts have. Unfortunately in the spring of 2017, Radio Shack is going out of business (see a related forum topic); but I know other companies are selling virtually identical ones. I'll try to update this with links. I checked the link again in Dec 2018 and it was still good, as they are still taking orders in order to liquidate. You can download their 2019 .pdf catalog from the front page of their website.